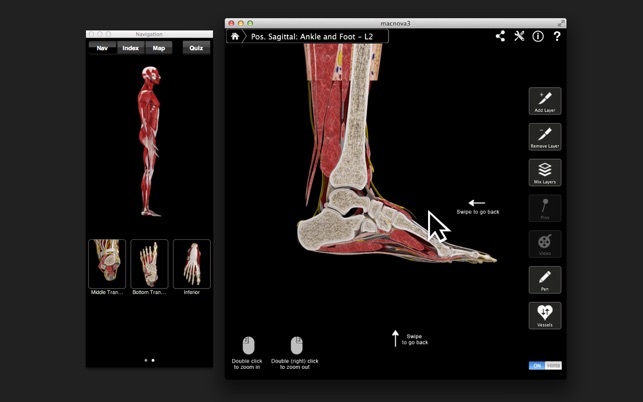 Ankle & Foot Pro III gives users an in depth look into the body region and allows them to cut, zoom & rotate the ankle & foot. 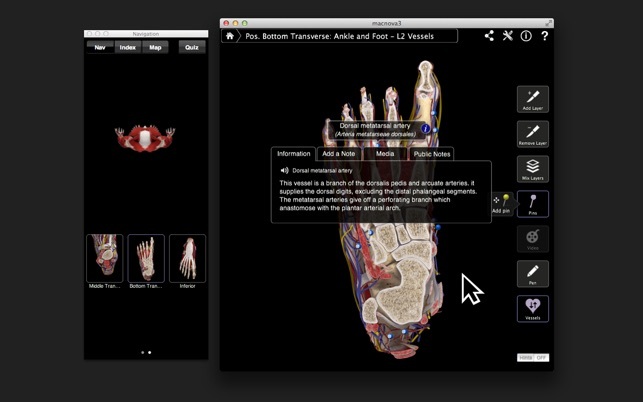 Ankle & Foot Pro III provides multiple cross sections (Sagittal, Coronal and Transverse) as well as the ability to cut away different layers revealing the muscles, blood vessels, nerves and connective tissue down to the skeleton. 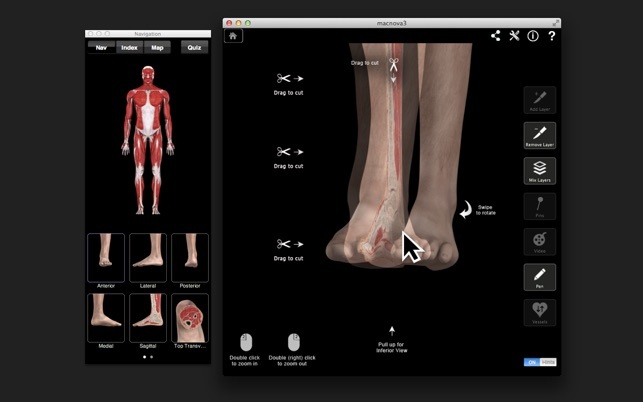 • 360 degree, 3D horizontal rotation of the ankle & foot for Anterior, Lateral, Posterior, and Medial views - all easily controlled with your mouse. 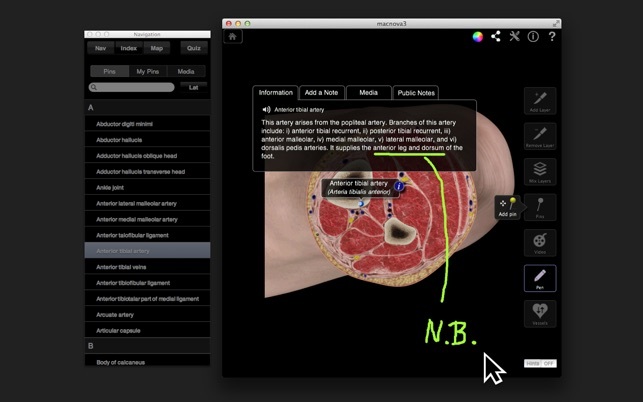 This model would have been incredible to study during med school. I know I would have used it frequently with my patients and residents during my years teaching outpatient medicine. Now I use it most to see exactly where I hurt after occasional tennis ankle injuries! Overall, it's a cool basic app. 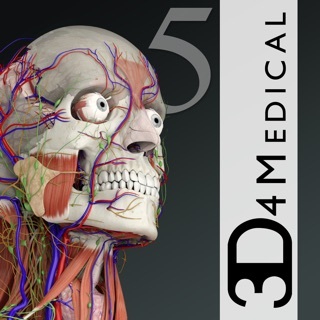 But to name an app "Pro III", I would expect this app to have more features including more specific nerve labeling, MRI and X-ray images -- this app does not, hence the 4-star rating. 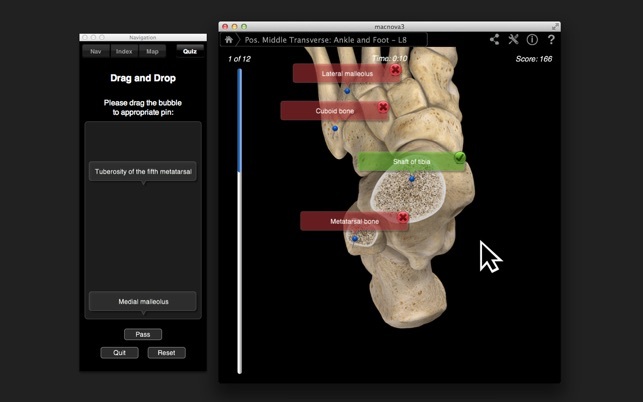 It is still a useful app to review general foot/ankle anatomy as med student/resident. Great apps, each of them. As a sports medicine physician these are very helpful for myself and to use during patient encounters. Very well done!